One of my all time favourite dive sites in the world is “Yap Caverns” in Yap, Micronesia. This site is located on the far southern tip of the main islands of Yap and is a series of ravines and gullies cut into the reef structure with many open caverns creating a maze like dive. 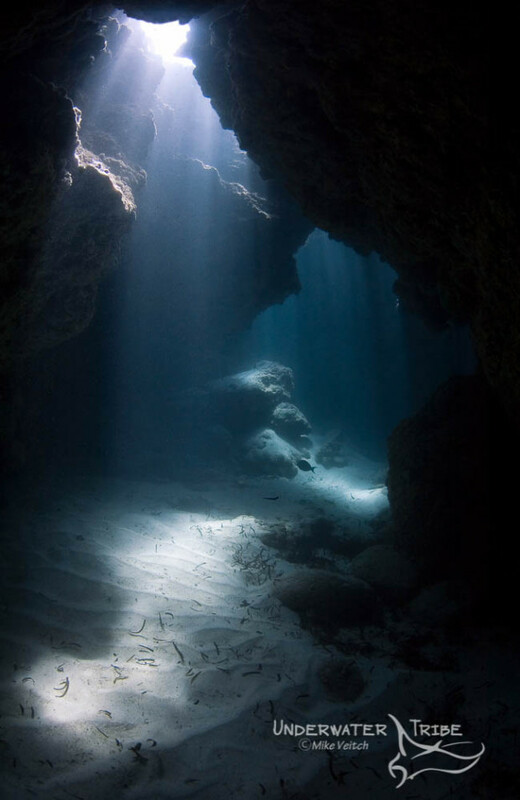 The best way to dive this site is to jump in the shallows and follow the twisting caverns before emerging onto a steep wall with crystal blue water. The caverns themselves are in constant flux as they undergo a series of changes over a 3 to 4 year cycle with periods of bare rock showing at the bottom interchanged with periods of bright white sand filling the channels. Photographically, the periods of bright white sand is superior to the rocky periods for obvious reasons. I took this photo during a period of time when the bright white sand had settled back in to the caverns after several years of nothing but rocky bottom. To create this photo the conditions had to be perfect with the sun shining brightly overhead but still early enough in the morning that it was not overpowering. The key was to position myself so that the rock wall blocked the main portion of the sun in order to allow the sharp sunrays to filter through the water column. The other key ingredient to make this photo stand out was the fact that a bit of swell was running which stirred up the sand and created a “sand filter” that allowed the sunrays to shine through. 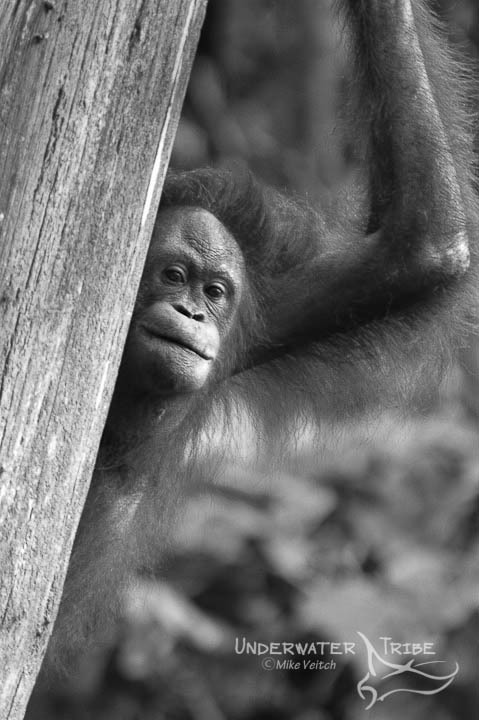 This was taken at an Orangutan Rehabilitation Centre in Sepilok in Sabah Province, Malaysia on the island of Borneo. The Centre has a “feeding platform” where recently released orangutans often come to get a free meal in the morning, as they may not yet be fully adapted to life in the wild. This particular orangutan was a very shy individual and allowed the other primates to have first crack at the bananas that the handlers were handing out. However, she did keep a keen eye from afar on the goings on at the platform; I believe this photo really captures her look of curiosity and patience while awaiting her mid morning snack.